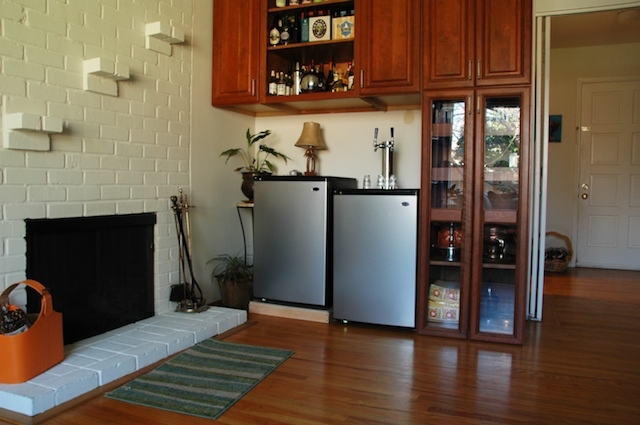 For Christmas I set myself up with a kegerator. I bought the parts (see the previous post with the kegs :) and this past weekend I put it together. Nothing coming out of it yet, I still need to brew the beer! But I've got some Oatmeal Stout bubbling away now in the carboys I got for Christmas as well... You can see the video here. 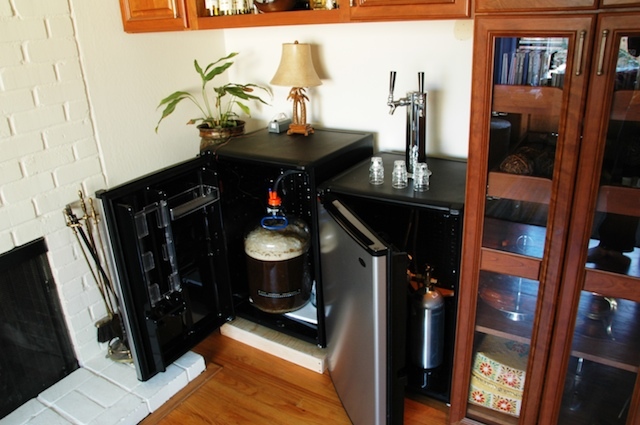 Below are some photos of the new kegerator set up. The one on the left is for fermentation (need to keep the temperature under control or it tastes too alcoholic), the one on the right for dispensing the finished beer. Also I have a party tap so I'll be able to bring homebrew kegs to the next pool party up in Oakhurst.